I love horses and people and to bring them together is PURE JOY! My intention is to provide the opportunity for people to experience being in nature with these powerful animals. Magical, life changing moments occur when our attitudes and the way we show up in the world are reflected back to us. Conversely, as we shift our attitudes and thoughts we see that change in the horses also. We then have a choice. 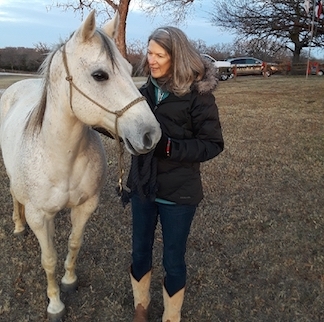 I am a Native Texan with a lifelong love of music and horses. My entrepreneurial endeavors include a CPA practice since 1982, musician, teacher and performer since 2000 and my current passion of life coaching since 2015.